On Lemon Lane takes an extraordinary amount of time to write & maintain so I am always looking for creative & effective ways to monetize this site without inconveniencing YOU, my readers! On Lemon Lane is a participant in the Amazon Services LLC Associates Program, an affiliate advertising program designed to provide a means for sites to earn advertising fees by advertising and linking to Amazon.com. When using affiliate links, whether through Amazon or other companies, I will always disclose them. An affiliate link means that if you purchase something through a link on my website I earn a small commission. This does not affect the price that YOU pay for an item – whether you purchase an item through my referral link or not, the cost to you will be the same. Thank you so much for supporting me and the site. Some of my outbound links may be affiliate links, which means I earn a small commission if you purchase something through the link. I may also use referral links, write sponsored posts, or advertise on social media. All links & ads are clearly marked as such. Sometimes I get paid just for you visiting the site and seeing the ad; other times it is based on your click or purchase. Whether I earn a commission or not off of your purchase does NOT affect the price you pay. All products, both paid and free are for personal, non-commercial, not-for-resale use. This applies to the whole or to any parts of any file. Once a file is purchased you may have any of them professionally printed for your personal, non-commercial use, unless stated otherwise. Selling or making a profit of any kind using the designs, or ideas expressed by On Lemon Lane, Teaching on Lemon Lane, or Living on Lemon Lane is strictly prohibited. The products purchased are for your own personal use. You may digitally share them with yourself or a professional printing service. They may not be digitally shared with others in any way. When applicable and specified in purchase, you will only print the number of prints allowed in the purchase. You agree not to violate, circumvent, change, disassemble, adapt, or otherwise tamper with any of the products or security technology related to such Usage Rules for any reason—or to attempt or assist another person to do so. The delivery of On Lemon Lane products does not transfer to you any commercial or promotional use rights in Products. Any printing or copying are solely an accommodation to you and shall not constitute a grant, waiver, or other limitation of any rights of the copyright owners in any content embodied in any Product. You acknowledge that, because some aspects of On Lemon Lane, and administration of the Usage Rules entails the ongoing involvement of design, if On Lemon Lane changes any part of or discontinues the Service, which On Lemon Lane may do at its election, you may not be able to use Products to the same extent as prior to such change or discontinuation, and that On Lemon Lane shall have no liability to you in such case. Golden Rule: Treat others the way you would like to be treated. Simply stated: Be nice. As people, and women especially, we already spend too much time tearing each other down and competing with one another. This is not the place for harsh criticisms, negativity, contention causing, or vulgarity. Any type of comments or material that go against these guidelines may be deleted. Such behavior may lead to termination and loss of subscription from the site. Notification is not required. 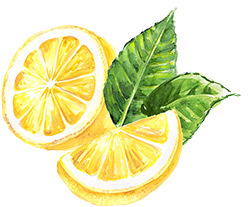 You agree that you will pay for all products you purchase through the Services, and that On Lemon Lane may charge your payment method for any products purchased and for any additional amounts (including any taxes as applicable) that may be accrued by or in connection with your Account. You are responsible for the timely payment of all fees and for providing On Lemon Lane with a valid payment of all fees. Your total price will include the price of the product plus any applicable sales tax: only in states where digital goods are taxable. All sales of products are final. Prices for products offered via the Services may change at any time, and the Services do not provide price protection or refunds in the event of a price reduction or promotional offering. On Lemon Lane guarantees a file purchased available for your download for five days. If a product becomes unavailable following a transaction but prior to download (within that five day period), your sole remedy is a refund. If technical problems prevent or unreasonably delay delivery of your product, your exclusive and sole remedy is either replacement or refund of the price paid, as determined by On Lemon Lane. Because of their digital nature, all purchases of downloadable items through On Lemon Lane are final once the file has been downloaded. No returns or refunds are available and all sales are final. All hard good orders are also final. I aim to provide detailed descriptions, pictures, previews to ensure you know exactly what you are buying before you purchase. Any additional questions you might have can be emailed to On Lemon Lane at contact (at) onlemonlane.com. As a registered subscriber of On Lemon Lane, you may establish an account (“Account”). Don’t reveal your Account information to anyone else. You are solely responsible for maintaining the confidentiality and security of your Account and for all activities that occur on or through your Account, and you agree to immediately notify On Lemon Lane of any security breach of your Account. On Lemon Lane shall not be responsible for any losses arising out of the unauthorized use of your Account. In order to purchase and download Products from On Lemon Lane, you must enter your email/ID and password to authenticate your Account. You agree to provide accurate and complete information when you register with, and as you use, On Lemon Lane Service and you agree to update your Registration Data to keep it accurate and complete. You agree On Lemon Lane may store and use the Registration Data you provide for use in maintaining and billing fees to your Account. Our website is not an official website of The Church of Jesus Christ of Latter-day Saints. To visit the Church’s official website please visit www.lds.org. Our products do not go through the Church’s curriculum department and are not official products or teaching aids provided by the Church. The products (services) offered by On Lemon Lane are neither made, provided, approved nor endorsed by Intellectual Reserve, Inc. or The Church of Jesus Christ of Latter-day Saints. Any content or opinions expressed, implied or included in or with the goods (services) offered by On Lemon Lane are solely those of On Lemon Lane and not those of Intellectual Reserve, Inc. or The Church of Jesus Christ of Latter-day Saints. On Lemon Lane reserves the right to change content options without notice. If you fail, or On Lemon Lane suspects that you have failed, to comply with any of the provisions of this Agreement, On Lemon Lane, at its sole discretion, without notice to you may: (i) terminate this Agreement and/or your Account, and you will remain liable for all amounts due under your Account up to and including the date of termination; and/or (ii) hold you accountable for the violation to this agreement. On Lemon Lane reserves the right to modify, suspend, or discontinue the Service (or any part or content thereof) at any time with or without notice to you, and On Lemon Lane will not be liable to you or to any third party should it exercise such rights. ON LEMON LANE DOES NOT GUARANTEE, REPRESENT, OR WARRANT THAT YOUR USE OF THE SERVICE WILL BE UNINTERRUPTED OR ERROR-FREE, AND YOU AGREE THAT FROM TIME TO TIME ON LEMON LANE MAY REMOVE THE SERVICE FOR INDEFINITE PERIODS OF TIME, OR CANCEL THE SERVICE AT ANY TIME, WITHOUT NOTICE TO YOU. YOU EXPRESSLY AGREE THAT YOUR USE OF, OR INABILITY TO USE, THE SERVICE IS AT YOUR SOLE RISK. THE SERVICE AND ALL PRODUCTS AND SERVICES DELIVERED TO YOU THROUGH THE SERVICE ARE (EXCEPT AS EXPRESSLY STATED BY ON LEMON LANE) PROVIDED “AS IS” AND “AS AVAILABLE” FOR YOUR USE, WITHOUT WARRANTIES OF ANY KIND, EITHER EXPRESS OR IMPLIED. IN NO CASE SHALL ON LEMON LANE OR ANYONE ASSOCIATED AS SUCH BE LIABLE FOR ANY DIRECT, INDIRECT, INCIDENTAL, PUNITIVE, SPECIAL, OR CONSEQUENTIAL DAMAGES ARISING FROM YOUR USE OF ANY OF THE SERVICE OR FOR ANY OTHER CLAIM RELATED IN ANY WAY TO YOUR USE OF THE SERVICE, INCLUDING, BUT NOT LIMITED TO, ANY ERRORS OR OMISSIONS IN ANY CONTENT, OR ANY LOSS OR DAMAGE OF ANY KIND INCURRED AS A RESULT OF THE USE OF ANY CONTENT (OR PRODUCT) POSTED, TRANSMITTED, OR OTHERWISE MADE AVAILABLE VIA THE SERVICE, EVEN IF ADVISED OF THEIR POSSIBILITY. BECAUSE SOME STATES OR JURISDICTIONS DO NOT ALLOW THE EXCLUSION OR THE LIMITATION OF LIABILITY FOR CONSEQUENTIAL OR INCIDENTAL DAMAGES, IN SUCH STATES OR JURISDICTIONS, THE ON LEMON LANE LIABILITY SHALL BE LIMITED TO THE EXTENT PERMITTED BY LAW. ON LEMON LANE SHALL USE REASONABLE EFFORTS TO PROTECT INFORMATION SUBMITTED BY YOU IN CONNECTION WITH THE SERVICE, BUT YOU AGREE THAT YOUR SUBMISSION OF SUCH INFORMATION IS AT YOUR SOLE RISK, AND ON LEMON LANE HEREBY DISCLAIMS ANY AND ALL LIABILITY TO YOU FOR ANY LOSS OR LIABILITY RELATING TO SUCH INFORMATION IN ANY WAY. BY USING ON LEMON LANE SERVICE, YOU AGREE, TO THE EXTENT PERMITTED BY LAW, TO INDEMNIFY AND HOLD ON LEMON LANE OR ANYONE ASSOCIATED WITH HARMLESS WITH RESPECT TO ANY CLAIMS ARISING OUT OF YOUR BREACH OF THIS AGREEMENT, YOUR USE OF THE \ SERVICE, OR ANY ACTION TAKEN BY ON LEMON LANE AS PART OF ITS INVESTIGATION OF A SUSPECTED VIOLATION OF THIS AGREEMENT OR AS A RESULT OF ITS FINDING OR DECISION THAT A VIOLATION OF THIS AGREEMENT HAS OCCURRED. THIS MEANS THAT YOU CANNOT SUE OR RECOVER ANY DAMAGES FROM ON LEMON LANE OR ANYONE ASSOCIATED WITH AS A RESULT OF ITS DECISION TO REMOVE OR REFUSE TO PROCESS ANY INFORMATION OR CONTENT, TO WARN YOU, TO SUSPEND OR TERMINATE YOUR ACCESS TO THE SERVICE, OR TO TAKE ANY OTHER ACTION DURING THE INVESTIGATION OF A SUSPECTED VIOLATION OR AS A RESULT OF ON LEMON LANE CONCLUSION THAT A VIOLATION OF THIS AGREEMENT HAS OCCURRED. THIS WAIVER AND INDEMNITY PROVISION APPLIES TO ALL VIOLATIONS DESCRIBED IN OR CONTEMPLATED BY THIS AGREEMENT. On Lemon Lane reserves the right at any time to modify this Agreement and to impose new or additional terms or conditions on your use of the Service. Such modifications and additional terms and conditions will be effective immediately and incorporated into this Agreement. Your continued use of the Service will be deemed acceptance thereof.